During Lent also want something sweet. Searching something sweet and lean I found interesting recipe of cake (we-that-we-eat.livejournal.com/21212.html?view=88796). I was interested by absence of butter. 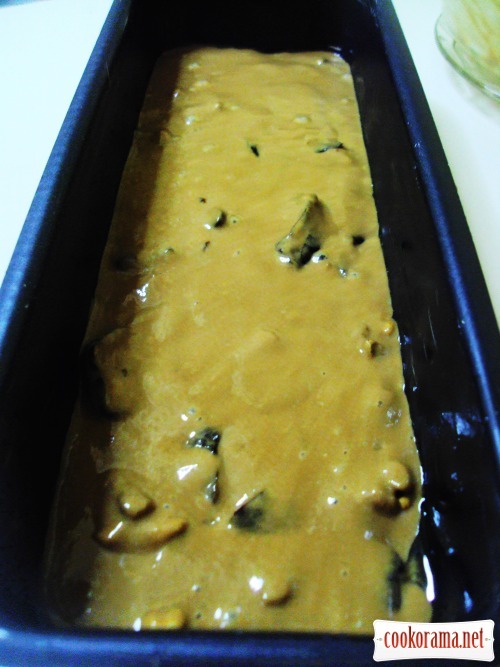 The result is a flavorful, moist, slightly «stringy» cake very similar to honey cake. 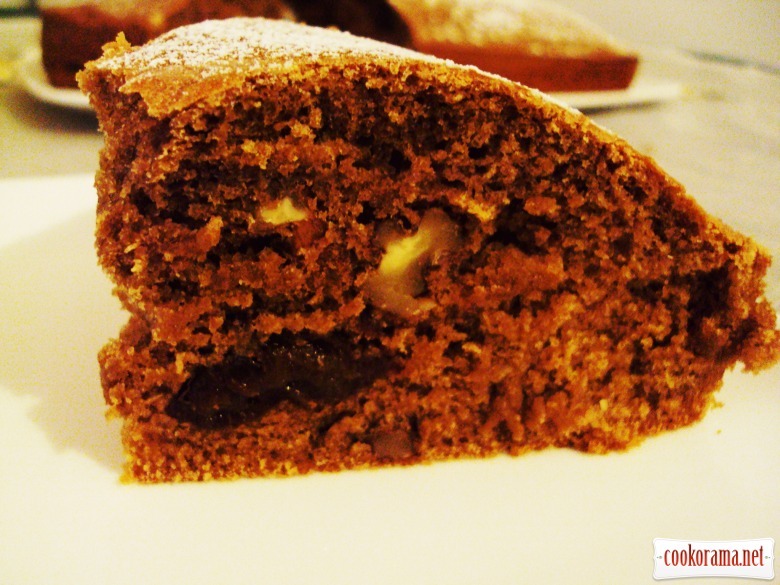 For more rich aroma and taste can not hurt cloves and cinnamon. But these are notes for future. Boil strong coffee. 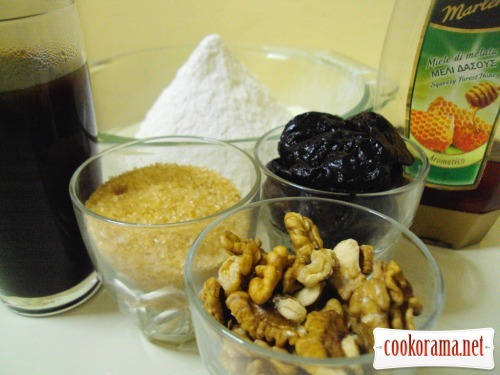 Dissolve sugar in it and honey. Cool a bit. 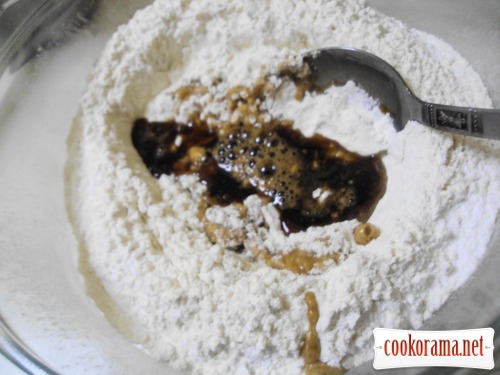 Stir sifted flour with baking powder. Gradually add coffee, stirring mass well. Dough turns out, as thick sour cream. 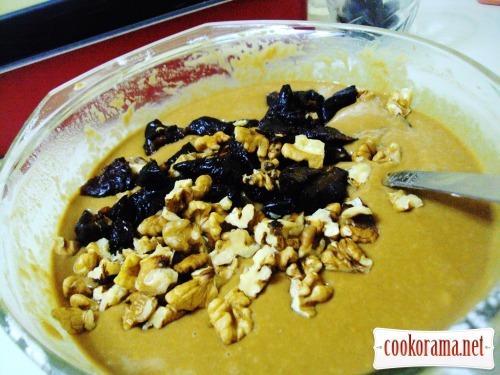 Add prunes and coarsely chopped nuts. Grease form with oil. Spread dough and smooth it. 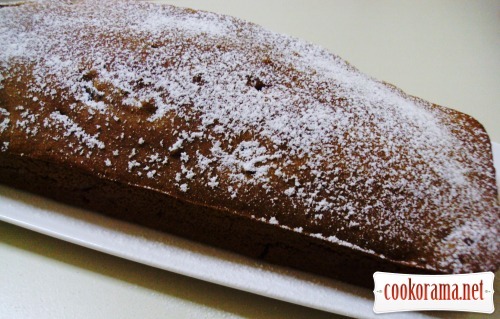 Bake cake at 180℃ for about 40 min un preheated oven (guide to your oven). Cool cake on grid. Sprinkle finished cake with sugar powder. 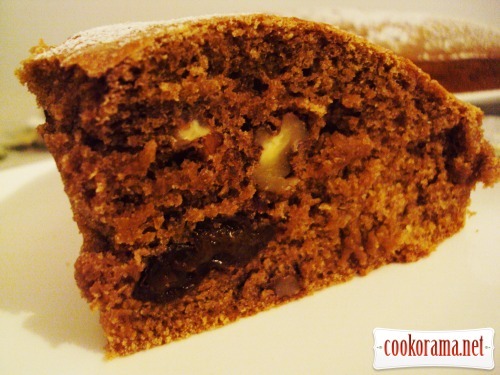 Top of recipe "Coffee cake with prunes and nuts"
Интересный рецепт! Без масло, яиц, а такой пышненький получился! Теж поклала око на цей рецепт! Молодець, Лариса! У Iри багато цiкавих рецептiв! Дякую, Оля! Ой, Лар, кофе, чернослив, орехи… это так… восхетительно!!! для кекса сочетание шикарное, кусочек такой вкусняшки, да стакан молока-и истинное наслаждение!! Вчера приготовила кексы по Вашему рецепту, Лариса. Очень понравились! Супер!